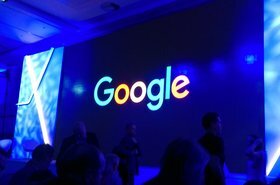 Google Cloud CEO Thomas Kurian took to the stage at the company’s annual Next conference for the first time this week. The former Oracle product chief CEO succeeded Diane Greene in January this year, and has his work cut out in the fast-growing and hyper-competitive cloud business. 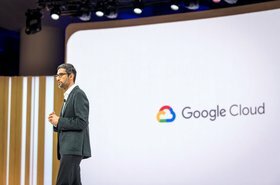 Despite hitting $4 billion in revenue on an annualized basis last year, and having some truly astounding technology such as its Cloud Spanner database service that uses atomic clocks to keep data synchronized around the globe, Google Cloud’s market share has stayed stubbornly in the single digits. Overall, Google’s cloud division lags far behind rivals Amazon Web Services and Microsoft in third place - and depending on whose chart you look at, sometimes in fourth place behind China’s Alibaba Cloud. In a Reuters analysis of 311 organizations, only 35 named Google as their cloud provider compared to 227 for AWS. While hardly indicative of the entire industry, it offered a glimpse to the stark lead gained by AWS’ nearly five years head-start. Kurian has a plan to win, though, and part of it involves leveraging Google’s robust global infrastructure. 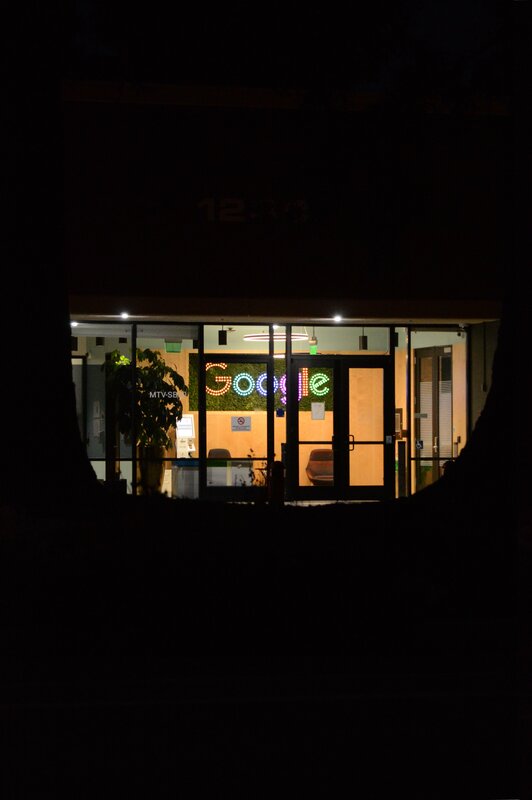 The strength of Google’s global infrastructure is well-known, and Google is always happy to discuss the many levels of security, some of which are baked right into its custom-built server hardware. GCP’s support for live migration also means that workloads stay safe and available by virtue of the ability to upgrade cloud instances without downtime. The last point refers to Google Cloud’s Access Transparency Logs service, which provides customers with an audit trail of actions taken by Google Support and Engineering in near-real time - alongside the justification for resources accessed and operations performed. Kurian’s emphasis on industry-specific offerings isn’t new and has been proven to work. Alibaba Cloud has long focused on addressing customer pain points in China, including those revolving around e-commerce, manufacturing and Smart City initiatives. The Chinese cloud giant even go as far as crafting data hack contests where problems from industry verticals are identified and packaged as problems for the public to solve. The other key prong of Kurian’s strategy is represented by Anthos, a GCP managed service designed to give customers the flexibility to run IT systems across multiple clouds. Based on the Cloud Services Platform first announced last year, Anthos is a multi-cloud managed service that works with GCP, on-premises deployments with GCP On-Prem, and even competing clouds. Anthos is designed to address the stark reality of IT deployments today: only a segment of enterprise workloads are in the cloud with the situation unlikely to change anytime soon. This explains why the cloud industry has largely moved to support hybrid cloud deployments, with even industry behemoth AWS launching an on-premises server range last year. But hybrid cloud deployments not only introduce additional technical complexity, but also require new management and governance approaches. And with an estimated nine out of 10 adopting multi-cloud strategies over fears of being locked into a single cloud platform, cost and complexity are further increased, explained Eyal Manor, VP of Engineering. “The reality is that managing hybrid or mostly cloud compute can be highly challenging and complex… each cloud comes with its own proprietary infrastructure, proprietary API and that creates a strain on your talent and resources,” he said. “Using multiple clouds without a strategic plan is a guaranteed way to increase operation costs, and fragment the developers and operators, and all of that can just add risk. And none of us are [going into the cloud] because we want more risks.” Anthos hence represents a cloud agnostic platform that allows organizations to put their hybrid and multi-cloud strategies into practice. At Cloud Next, Google also announced strategic partnerships with leading open source-centric companies in the areas of data management and analytics. Working with partners isn’t new, though Google seems particularly serious about working with others for a win-win scenario and to achieve its vision of a multi-cloud world. At a time where some open source projects are coming under pressure by commercial organizations that profit by offering their the free software as-a-service, or offering competing solutions such as when AWS launched its Mongo-compatible DocumentDB, Google is taking a radically different track. Google will essentially offer managed services under the auspices of GCP, but operated by partners such as MongoDB, Elastic and Confluent. The result? A single user interface for customers and unified billing, with support backed by Google Cloud support. “Our belief as a cloud provider is that we need to build an ecosystem of partner solutions. A lot of developers in large companies would like to use open source, and they would like to use open source knowing that the company behind that is going to be viable. Google partners with them to make that possible,” explained Kurian at a media briefing. 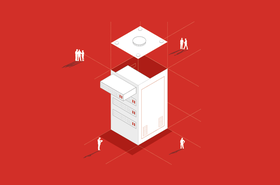 “95 percent of the workloads are still sitting in on-premises data centers. We are still very, very early in the cloud game. What we see a lot of customers telling us: We really like to work with Google. We love your technology, your security, your reliability,” said Kurian. Will he be able to move Google Cloud’s market penetration into the double digits? Only time will tell.